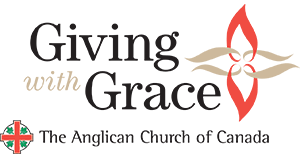 As the Ninth Indigenous Anglican Sacred Circle entered its second full day, the universal nature of Jesus’s message, and its connection to global struggles for justice encompassing those of Indigenous Peoples in Canada surrounded our day. The gospel-based discipleship reading for the morning of Wednesday, Aug. 8 was Matthew 15:21-28, the faith of a Canaanite woman. In this passage, Jesus encounters the woman in the district of Tyre and Sidon who begs him to help her daughter, who is tormented by a demon. The disciples urge Jesus to “send her away, for she keeps shouting at us.” After initially answering that he was “sent only to the lost sheep of the children of Israel,” Jesus comes to recognize the woman’s faith, and her daughter is healed instantly. As the listener and note-taker within our talking circle, I listened to members of my group read and reflect upon the passage. Some common themes emerged in the group’s interpretations. One was the need for persistence in prayer and in asking for things. Another was the importance of helping those who require it. And a third was that through Jesus, all are the children of God, regardless of background or ethnicity, and all may come to the table. Christ helped the woman even though she was a Canaanite and not a Jew. As one group member observed, “Jesus came not only for Jews, not only for white people, but also for all of us. 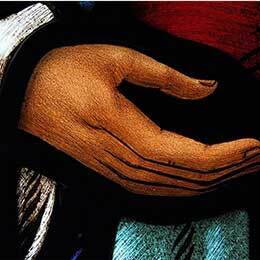 He can help us all if we pray to him.” And Jesus calls us to listen to each other. 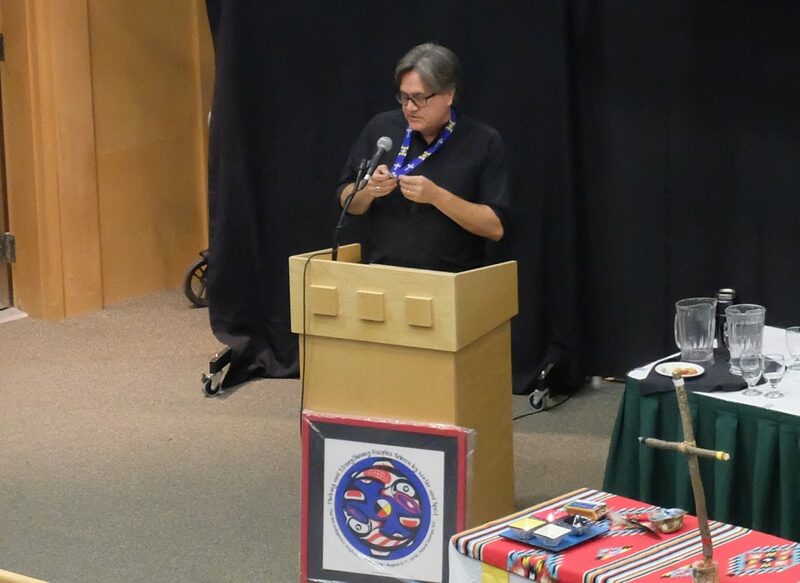 Back in plenary, National Indigenous Anglican Bishop Mark MacDonald expanded on the concept of discipleship, and how centering discipleship on the gospels and on “allowing Jesus into our lives” had facilitated a sustained pastoral presence in Indigenous communities. Ongoing work by the Primate’s World Relief and Development Fund (PWRDF) was the subject of a presentation by executive director Will Postma and board member Judith Moses, the latter a representative of the Anglican Council of Indigenous Peoples (ACIP). 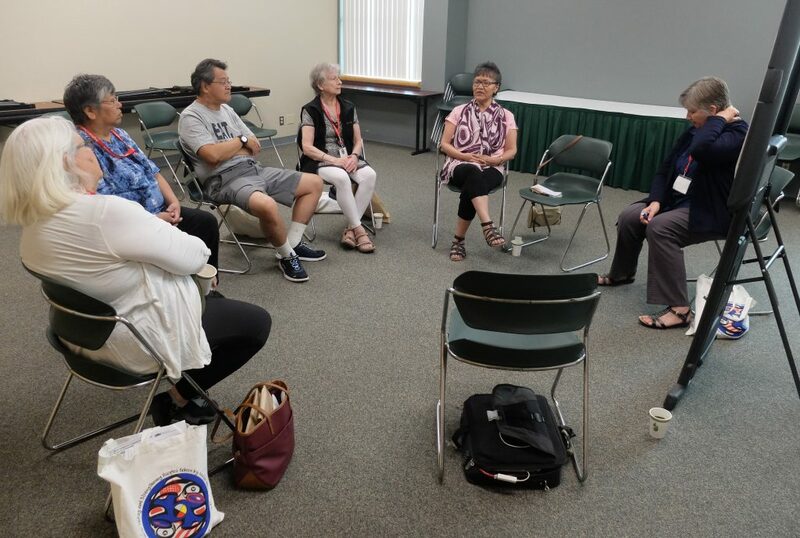 They discussed current initiatives such as the clean water project in Pikangikum, Ont., youth and economic development through the Nuu-chah-nulth Economic Development Corporation in Port Alberni, B.C., and Indigenous midwifery in Canada, Peru, and Mexico. The PWRDF representatives also asked for feedback and guidance from ACIP and Sacred Circle on future program design. Sacred Circle members brought up many of the issues affecting northern Indigenous communities, such as a severe lack of housing and the need to fund community gardens to address high food prices. A bishop raised the possibility of an “Indigenous PWRDF” that would specifically look after the needs of Indigenous Peoples in Canada. As a separately incorporated entity, it wasn’t clear what the relationship would be with national Indigenous ministries. After lunch and before we broke into our focus/working groups, I went out for a brief stroll to enjoy some sunshine and explore the University of Northern British Columbia campus. The sky was hazy and I detected the smell of smoke in the air. 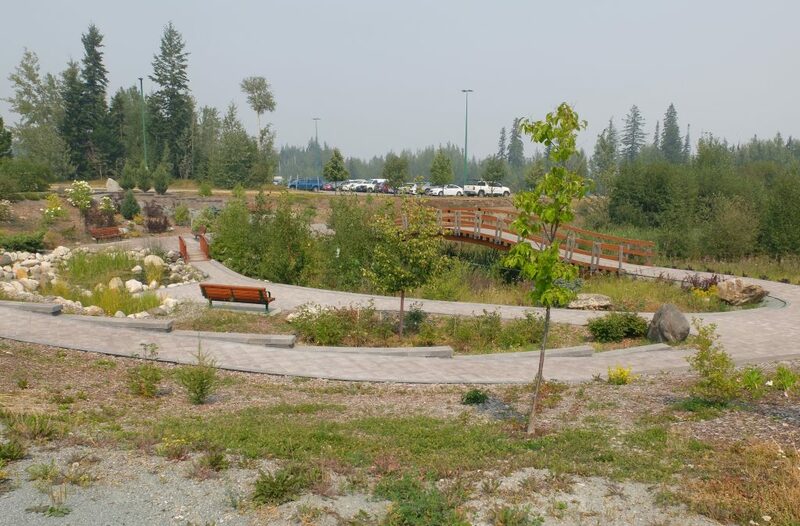 Upon returning to the Conference Centre for the afternoon, I was informed along with the rest of Sacred Circle that Prince George was officially under an air quality advisory due to wildfire smoke. Later that afternoon, the advisory was upgraded to a warning. We were instructed to stay inside, particularly those of us with respiratory issues or pre-existing health conditions. The afternoon session provided some choice and we selected a topic that we were passionate about. Each of the groups addressed an issue of concern to Indigenous communities: the opioid crisis, governance for self-determination, missing and murdered Indigenous women and girls, changes to the marriage canon, suicide prevention, and PWRDF. For me, the air quality warning solidified my original choice: climate change and resource extraction. The summer of 2018 has been dominated by record-breaking heat waves around the world, amidst a variety of other extreme weather events. Having travelled to Sacred Circle from Toronto, I learned that the city had experienced flooding the previous night after receiving a month’s rainfall in less than three hours. Meanwhile, the wildfires ravaging British Columbia had been exacerbated by hot, dry conditions. In our working group on resource extraction and climate change, members emotionally detailed the destructive impact of climate change on their traditional way of life. Lorraine Netro, a delegate from the Vuntut Gwitchin First Nation in Old Crow, Yukon, has spent 20 years fighting for protection of the land in the north, and noted that things are only getting worse. She pointed to a provision in the recent tax bill passed by U.S. President Donald Trump that opens up the Arctic national wildlife refuge for oil and gas drilling. Having fought for so many years to protect her land, she expressed exasperation with the lack of response from those in authority and from constantly having to explain the same issues. Climate change, she noted, is exacerbating food insecurity for northern communities. Hunters and trappers who used to read the ice and snow now find it dangerous for them to go out. Traditional weather knowledge is faltering in the face of unprecedented changes in seasonal temperatures and weather patterns. Her own grandson, “who should be learning about hunting and trapping and fishing”, has never been to a fishing camp because there are no more salmon in his area. Ingrid Johnson, a member of the Teslin Tlingit Council in Yukon, lives in the same area. Besides salmon, the main staple food there has traditionally been moose. This year, the council made a voluntary decision to shut down all moose hunting due to the low numbers. “I worry because in our town this year, we usually have snow in late October, November, and then gradual cooling until the cold winter; we have spring coming in the end of April,” Johnson said. Tentatively volunteering my own opinion, I suggested that the elephant in the room was capitalism and its incentive to maximize profits at all costs. That need to prioritize short-term profits over the long-term well-being of future generations prevents governments and businesses from adequately responding to climate change, or quickly transitioning away from fossil fuels towards more sustainable forms of energy. In the face of such obstacles, our group suggested that the only recourses were education, building a broad-based movement, taking part in acts of civil disobedience—which Indigenous groups in B.C. and Anglicans such as the Rev. Emilie Smith were already engaged in to stop construction of the Kinder Morgan pipeline—and political stances in favour of measures such as the expropriation and nationalization of energy companies under workers’ ownership and control. The evening session saw two partner reflections from the Rev. Malcolm Chun, of the Episcopal Diocese of Hawaii, and the Rev. Dr. Brad Hauff, Missioner for Indigenous Ministries in The Episcopal Church. Leading Sacred Circle in singing “He’s Got the Whole World in His Hands”, Chun laid out what he described as “God’s vision of globalization” in bringing distant peoples closer together. 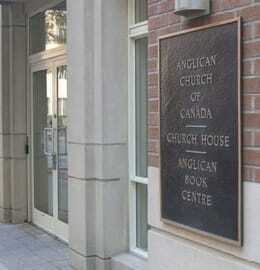 Hauff focused on current conditions facing Indigenous ministry in the United States through The Episcopal Church. He was blunt in his assessment of the challenges posed by the Trump presidency. While asking for prayers and support, Hauff also noted a number of positive developments for Indigenous ministry in the United States. 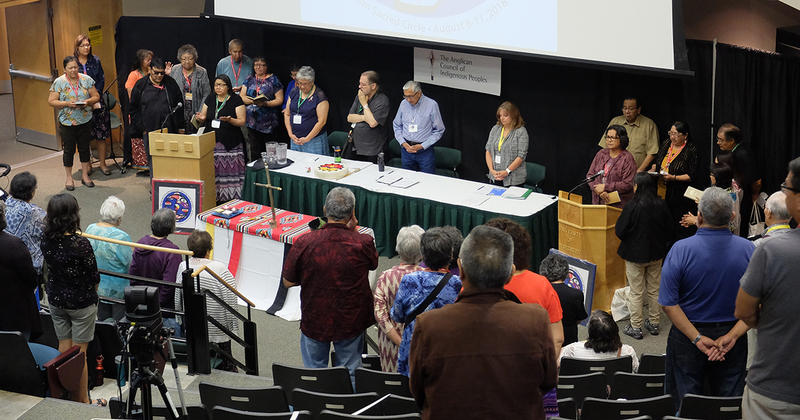 At its General Convention last summer in Austin, Texas, The Episcopal Church created a new full-time permanent position of Indigenous Theological Education Coordinator—a “huge” development that would help Indigenous people reclaim their own theological narrative. Another resolution that passed made teaching about the Doctrine of Discovery mandatory for all those who undergo the ordination process in The Episcopal Church. Hauff expressed his gratitude to the work of Bishop MacDonald for bringing the Doctrine of Discovery to the attention of the wider church. Discussing the topic of evangelism, he described social justice as central to Indigenous conceptions of the term. He described “authentic Christianity” as “loving, liberating, and life-giving”. 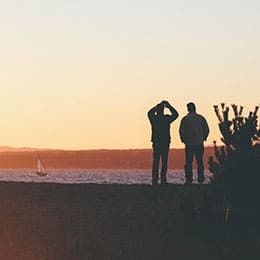 Liberation serves as a release from myriad forms of oppression, whether that is being oppressed through addictions, self-hatred, low self-esteem, racism, or any other issue. ‘Jesus is our liberator,” Hauff said. “The early missionaries when they came here were not liberation-minded. They were oppression-minded, and that has to change.